Grounded in the tale of the intrepid French Canadians who came to this land to sell furs and trade items, Festival du Voyageur has thrived by maintaining a link to its past. Men and women come bundled in plaid flannel, dance the jig and enjoy a dip of maple taffy. While at times anti-French sentiment swirled outside the festival like twisting snow, the Festival du Voyageur always sought to draw people into the story of French Manitoba rather than exclude them. St. Boniface's ode to fur-trapping and Franco-Manitoban culture even went too far, perhaps, in its bid to appease the anglophones, making its name "Festival du/of the Voyageur" in the early days. "A lady in River Heights, she said to the festival, 'Listen, you guys, don't you think the English are intelligent enough to know that?'" said Lucienne Beaudry Loiselle, who penned an authoritative retrospective on the festival that's being released this month. While the translation was dismissed, the inclusivity of anglophones was never sacrificed, even as English speakers were annoyed that French was being restored as a language of instruction in schools beginning in 1970. 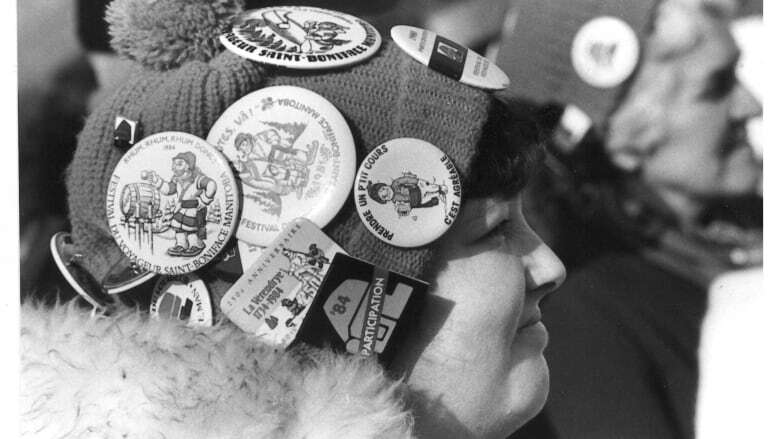 In the early 1980s, as the Société franco-manitobaine building fell victim to arson and the organization's president faced death threats, still Festival du Voyageur did not engage in the politics of the day. "It's hard to be political when you walk into a hall full of happy people, dancing and singing," Beaudry Loiselle said. "This is what we are. Joie de vivre just takes over. Never mind your past political problems — you're welcome here." 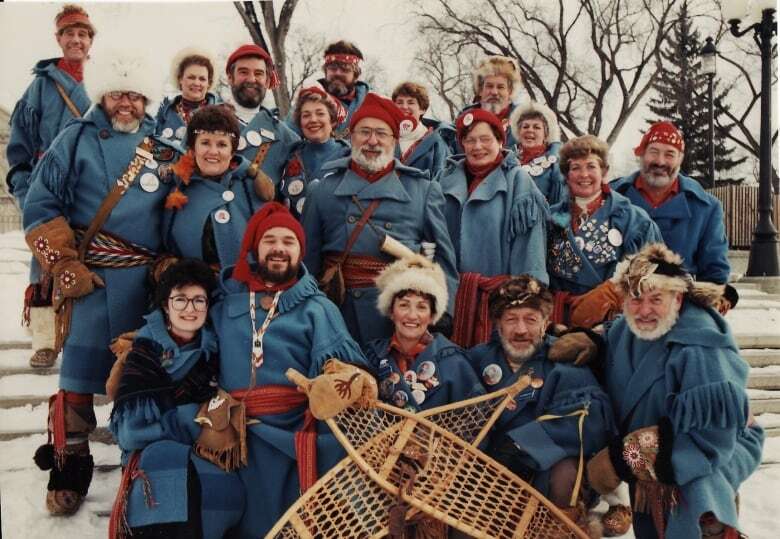 Festival du Voyageur, which starts Feb. 16, is commemorating 50 years in 2019. 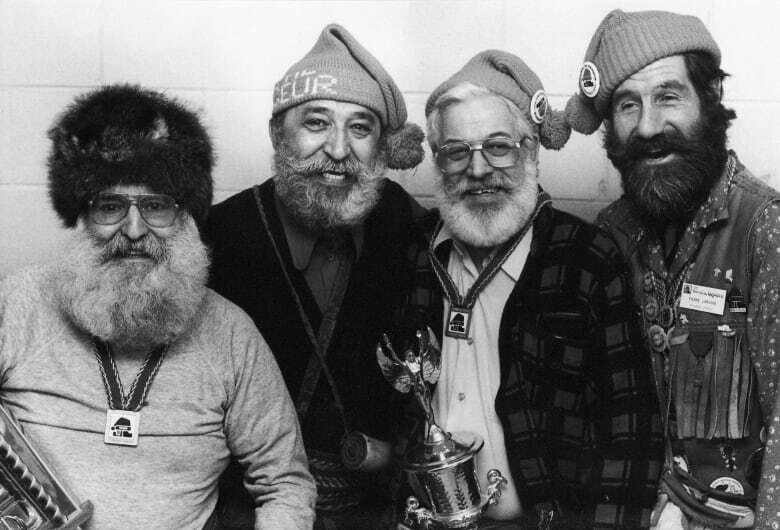 Five decades ago, St. Boniface businessman Georges Forest concocted his own answer to the Quebec Winter Carnival, wearing a traditional buckskin, tuque and sash to sell people on Festival du Voyageur. Forest insisted his inaugural festival — to celebrate Manitoba's centennial in 1970 — be tied to francophone heritage. As the lore goes, he couldn't sleep one evening as he grappled with what the celebration could be, Beaudry Loiselle said. "He said to himself, 'If this festival is to survive … it must be based on someone that is part of our history.' "
Forest stood before St. Boniface city council, dressed not only as a fur trader of yesteryear, but as the historical figure Jean-Baptiste Lagimodiere, who trekked, mainly on snowshoes, from Red River to Montreal to warn of strife between settlers and fur traders. He travelled across Canada and the United States that year to promote the new festival. The first edition, complete with snow sculpture contests, snowshoe races, historical re-enactments and a costume ball, took place over four days in February at Provencher Park. The turnout was so impressive an organizer figured the event will "still be around another 100 years from now," the Winnipeg Free Press reported. 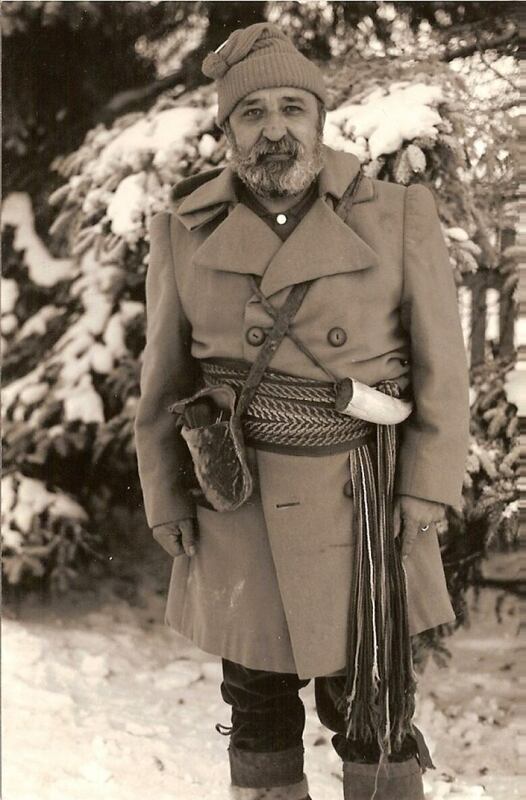 Beaudry Loiselle attended Festival du Voyageur from the very beginning. "We would have the kids babysat and we would go out like every night, just one big party." She and her husband, Lucien, became engrossed in the festival's mission. They took the mantle as official voyageurs, travelling festival ambassadors who shimmied from pancake breakfasts to schools to promote and teach the heritage. All ex-voyageurs become part of an order that continues to wear the garb whenever they're called upon. "Some people actually take the week off," she said. "It is against their religion to work." The festival grew from there, from four days to six and now 10 days. It shifted its premises from Provencher Park to Whittier Park, where in 1978, organizers rebuilt Fort Gibraltar, a North West Company trading post that originally stood across the river from its present site. New attractions were started and ended. A Festival Queen is no longer crowned. You won't find a ferris wheel, winter golf tournament or quinzhees to rent for $250 a night. But the festival pays homage to the recreational fun the original voyageurs would have enjoyed, from music to dancing, with fiddlers and jiggers. Popular events like the beard-growing competition and log-sawing competition have persevered. It was one of a few occasions when they almost lost the festival, Beaudry Loiselle said, but they were resilient. Claude Forest believes his late parents, Georges and Anita Forest, would be overjoyed at what Festival du Voyageur became. "I think it would be joy to know that other people can embrace [the festival] and thrive and call it their own," he said. "In a way, it would be like one of their children." Georges Forest is also known for challenging the constitutionality of an English-only parking ticket all the way to the Supreme Court of Canada, which ruled it unconstitutional. Claude Forest, now of North Vancouver, is returning to Festival du Voyageur this year with three of his sisters. Organizers will rename La Prairie Tent to Forest Test in his family's honour. He's proud of how welcoming the festival has been. Forest started a youth event he hoped would better include those who may not have felt welcome in traditional Franco-Manitoban settings, like immersion school students and newcomers from French-speaking African countries. Darrel Nadeau, the 13th and current executive director of Festival du Voyageur, knows how important inclusivity is to this festival of Franco-Manitoban culture. "It makes me, and everyone around us, aware of how big this festival is to the community, how it's touched so many people's lives over the last 50 years and how it's just a lot bigger than all of us," Nadeau said about the festival, which attracted 100,000 visits last year. "It's got its own life." 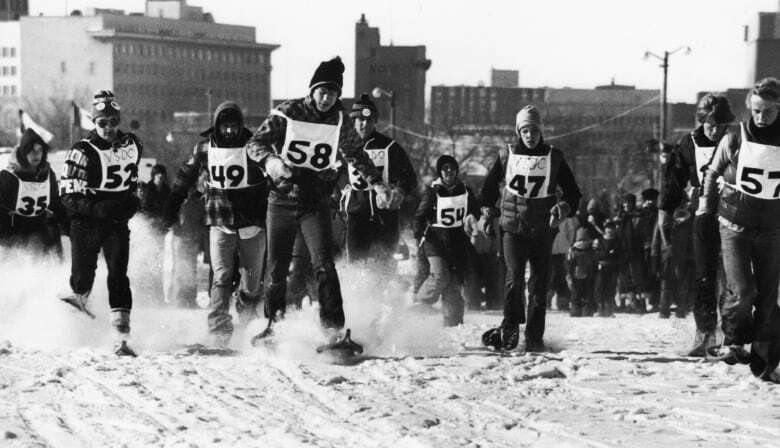 The festival will harken back to its past this year with the return of dogsled rides, snowshoe races and bands who rocked the stage decades ago. Some new wrinkles also are on tap, like the flow of chilled beer served at a new bar on the river, a silent disco where people groove to music through their headphones, and sculptors who will try their hand at chiseling chocolate, in addition to devising sculptures of snow, ice, wood or — last year's addition — cheese. Nadeau said the festival can improve by acknowledging the Indigenous cultures who also took part in the fur trade. This year's event will include a Métis flag procession, powwow workshop and more Indigenous artists and artisans, but that's just the start, he said. "We know we've done a very good job with promoting francophone culture and francophone history, but we need to do a better job to represent the Indigenous culture and history as well." Beaudry Loiselle's book, Festival du Voyageur He Ho! A Celebration of Culture and Heritage, will be available during Festival du Voyageur at the souvenir shop, as well as at McNally Robinson and Chapters. Ian Froese reports from the Manitoba Legislature for CBC Manitoba. He previously wrote for the Brandon Sun and the Carillon in Steinbach. Story idea? Email ian.froese@cbc.ca.